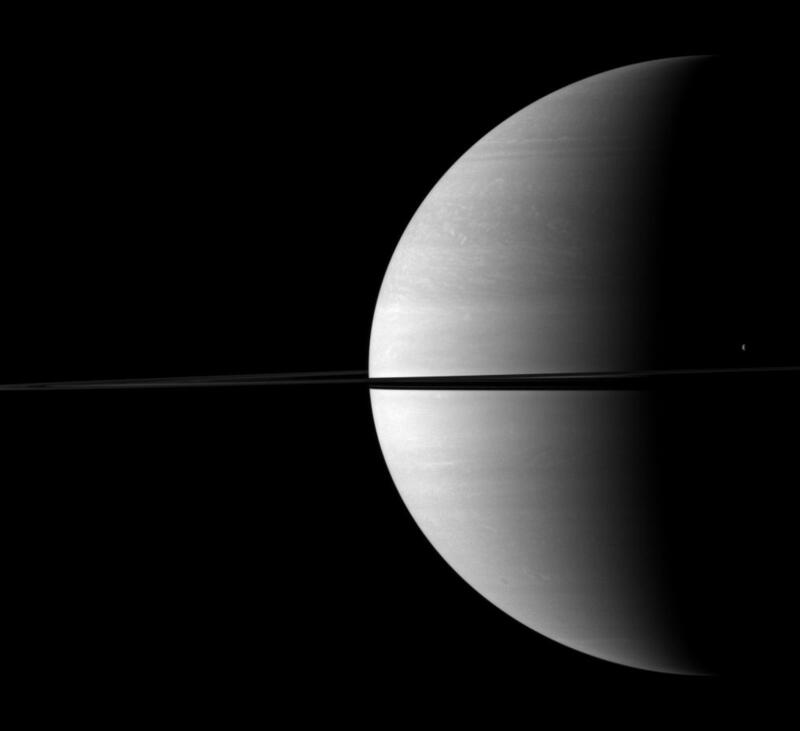 The moon Tethys stands out as a tiny crescent of light in front of the dark of Saturn's night side. Tethys (1,062 kilometers, or 660 miles across) can be seen above the ringplane on the far right of the image. This view looks toward the northern, sunlit side of the rings from just above the ringplane. 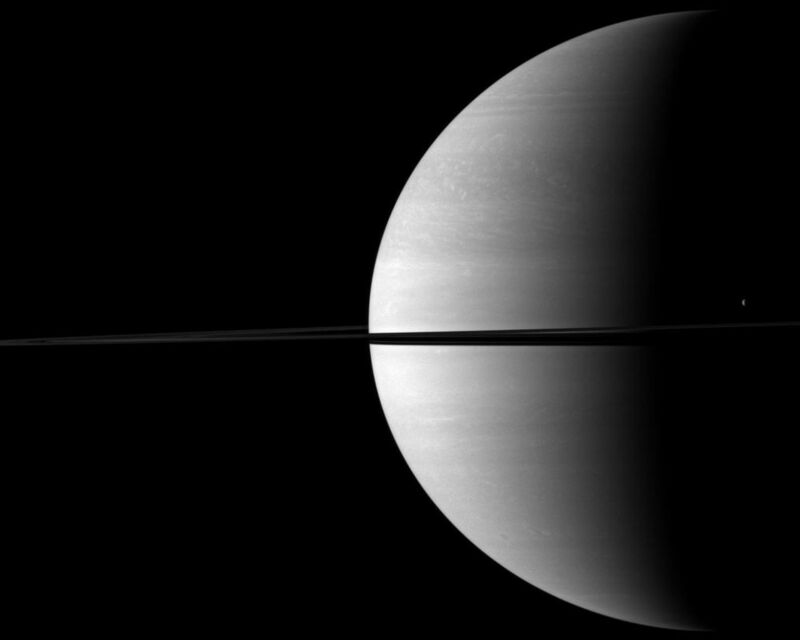 The image was taken with the Cassini spacecraft wide-angle camera on Nov. 27, 2009 using a spectral filter sensitive to wavelengths of near-infrared light centered at 752 nanometers. 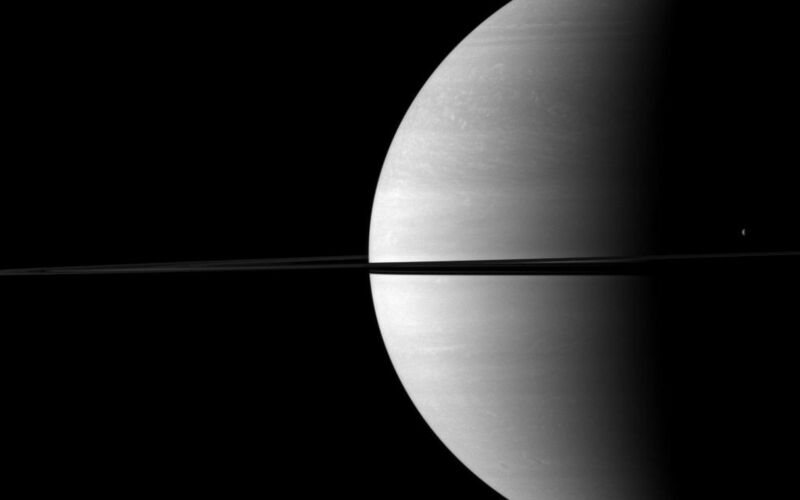 The view was acquired at a distance of approximately 2.3 million kilometers (1.4 million miles) from Saturn and at a Sun-Saturn-spacecraft, or phase, angle of 99 degrees. Image scale is 135 kilometers (84 miles) per pixel.